In small communities and villages, spring water is the sole source of drinking water. Natural spring water once considered fit for consumption purposes (since ancient times) does not meet safety standards anymore. If consumed directly, it can be harmful for human and environmental health. Hence, being largely considered as unsuitable/unreliable as a drinking water source, it is mandatory to purify spring water before supplying it to different regions of the world. There are various financial and operational challenges in providing clean drinking water to people across the world. GIECL’s drinking water purification plants are equipped to tackle this issue and are used for addressing contamination found in spring water, making it fit for drinking in compliance with certain standards. 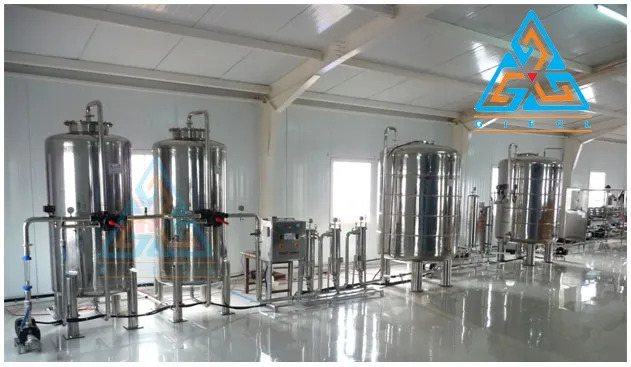 Our drinking water purification plants offer various treatment schemes for treating spring water quality such as chlorination, feed pump, Multigrade Sand Filter, Granule Activated Carbon Filter etc. Various contaminating objects right from pebbles to sand can be filtered through our various models of machineries. Our goal is to ensure that clean drinking spring water can be safely supplied to a large number of people and homes. Our spring water filtration plants are made of sturdy stainless steel, 316, 304, Fiber Glass (FRP) respectively. We have various kinds of drinking water treatment plants such as 12,000 Liters per hour Spring water Filtration Plant for 5 gallon line and 2000 Liters/Hour Spring water / Natural mineral water Filtration System which operate in compliance with enhanced water treatment rules and safety standards. They conduct the best spring water monitoring and filtration so that every home can be blessed with pure drinking water and from the most natural source that is raw water from the springs. At GIECL, we strive to work towards longer term solutions using the best water treatment systems for our clients. Our machinery is reliable and extremely capable of eliminating the most minuscule impurities in raw water which comes from the springs. Treatment Scheme Chlorination, Feed Pump, Multi Grade Sand Filter, Granule Activated Carbon Filter, Micron Cartridge Filters, U.V. System, Ozonator, Ozone Mixing Tank & Pumps, Storage Tanks. Filtering Media Pebbles, Gravels, Quartz Silica, Fine Sand, Activated Carbon, Cartridge Filters.